The IOWAGA and WAVE-DB projects. If you need information about some sea-state related parameter, chances are that IOWAGA can provide it to you, and chances are that you will not find a more accurate estimation elsewhere. The project team is particularly working on the use and interpretation of novel data sources (from satellites, stereo-video cameras, seismometers) and the improvement on numerical wave models. 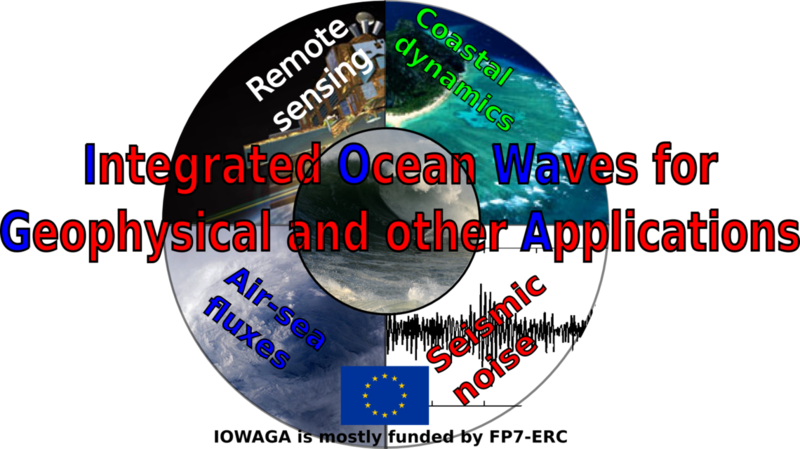 The IOWAGA activities are also funded in part by the U.S. National Ocean Partnership Program, through the "Waves Dissipation and balance" (WAVE-DB) project, also led by F. Ardhuin, and these activities also contribute to the China France Ocean SATellite project (CFOSAT), with partial funding from the French Space Agency CNES . Around the IOWAGA team at Ifremer, we are also happy to collaborate with outside partners (Georgia Tech., PROTECNO, Zanke and partners ...) and other projects, in particular the coastal operational oceanography project previmer.